Breviin is an ancient warrior clan that originally inhabited the tropical regions of Mandalore many years ago. The clan was founded by an ancient warrior known as Tracyn Max. Over time, the Breviin clan became frustrated with their people being mistreated by the mandalorian government. The clan members were typically forced to work for the elite upper class within the government. The government was corrupt, and they became more like self serving entrepreneurs than warriors. After many years of oppression Tracyn Max became fed up and eventually began a movement to liberate his people. He sought to restore Breviin to their ancient roots as warriors, and form an independent mandalorian state for his clan. The Mand'alor of that time naturally did not approve of the movement and sought to exterminate this civil unrest. 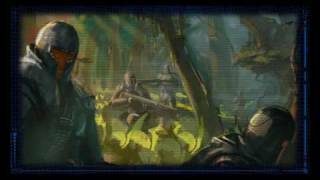 They eventually declared war on Breviin, and together with their Sith allies the Mand'alor ordered the extermination of the clan. These actions would lead to the first mandalorian civil war. During the war, He realized it would not be an easy battle, but Max and his clan remained devoted to their cause despite being outnumbered. 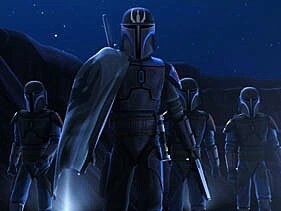 The Talyc Battle was one of the events that will forever be etched in the minds of every Breviin Mandalorian. 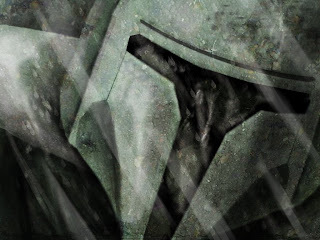 Talyc refers to bloody or blood stained in mando, and many people would meet their death during this time. This battle as some called it was the last battle of Tracyn Max and his struggle against the Mand'alor. Clearly outnumbered Tracyn Max and his forces fought guerrilla style against the Mandalorian army and inflicted many casualties upon them despite being heavily outnumbered. Eventually Mand’alor’s army were able to reach the last city of Breviin, where the Mand'alor forces slaughtered most of the inhabitants of the city. Not one Breviin warrior deserted their brothers during the battle, and in a valiant last stand a handful of Max’s remaining army drew a tight circle around their leader and fought until the last one was killed. Although Tracyn max was struck down in that historic battle, tales of the event would be passed on for generations speaking of the bravery and honor that Max and his army exuded until the very end. After the battle, only a handful of survivors managed to escape the planet. After a millenia of slowly dying out, the clan Breviin was rumored to no longer exist and the stories of their bravery became tales of folklore. Many years later, Peter Max, a descendant of the revered Tracyn Max, decided to discover and unite what remaining Breviin descendants were left. After his ascension to Aliit'Buir he started a search for new ways to preserve the clan´s existence despite their being only a few members left living in secrecy. Peter Max with the help of his second in command and adopted adiik Xer`da Arman`de were able to contact a Kaminoan who offered them their technology to clone form their own DNA and restore Breviin to its ancient glory. Soon after their contact with the Kaminoan Peter and Xer led an expedition on mandalore to find the remaining members of his clan. Eventually they discovered a hidden village within the dense tropical regions of Mandalore, and Peter immediately noticed the distinct blue and grey armor of the Breviin clan. To Peter´s surprise they were all families and descendants of Breviin ancestors, and were separated from the rest of the Breviin communities after the first mandalorian war. 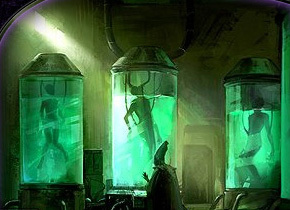 After the amazing discovery of this community the Aliit'Buir decided to continue with the cloning program and produce armies for their allies. Their mission is to expand their genetic code throughout the galaxy and restore Breviin to its ancient glory as one of the strongest Mandalorian clans of all time. Peter Max would eventually found the ¨Death Watch¨ to oppose anyone who would prevent him from restoring Breviin. After learning about the existence of The Death Watch Tyr DeMeer, the self proclaimed Mand'alor, declared war on the elite group. Peter Max informed Demeer that Breviin was not going to give up its right to become an independent mandalorian state. The death watch was later dissolved because of a previous group’s association with criminals and pirates, but the original Breviin clan continues its fight against anyone who would threaten their freedom. Peter Max and his clan have recently joined the Krath Dynasty as a mandalorian super commando unit to fight against the Imperial Union and the criminal cartels. Their quest remains unchanged: to secure an independent state where the clan can become a self sufficient and powerful government.